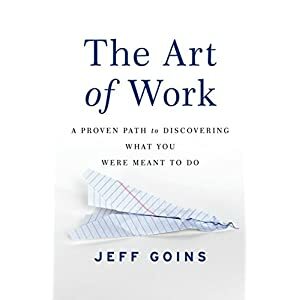 I really liked Jeff Goins latest book, “The Art of Work”. I have read other books written by this author and I follow his blog. He gives great advice on writing, publishing, marketing, and general life advice. This book is all about finding and following your “calling”, and according to Jeff, we all have one. I think this would make a great graduation gift, or a great retirement gift. I give it four stars. Great for teens and up. Lord, I love you. I thank you for loving me first. For seeing something in me that I couldn’t see. For creating me as the pearl of great price. Thank you for buying me back from your enemy and my enemy, from the one who hurt me, and used me cruelly. You brought me to Your Kingdom and clothed me, fed me and bound up my wounds. By your love you healed my heart and by your word you healed my mind. You placed mighty warrior angels around me for my protection and ministering spirits to help and sustain me. You gave me your Spirit as a constant companion to lead and guide me, and ever present help in times of confusion and trouble. You have taken away my nightmares and given me sweet sleep. My heart is at peace and my spirit is at rest. You have accepted me into the family of your loved ones. Given me a seat of honor at your banqueting table, in the presence of our enemies. Proving my worth and your love for me. I lake nothing that I need. You hold nothing back from me. There is not an enemies weapon that can touch me, no harm no illness, no evil thing. You have shut the mouths of the lions and you walk with me through the fire- not allowing it to burn, or even touch me. You raise your banner of love over me as a sign that I belong to you. You have given me a new name. Your name. I am yours and you are mine. Lord, I love you. I was given this book by the author, Tracey Ward, in exchange for an honest review. I loved this book! Loved the storyline, A woman who “Slips” in her dreams to places she’s been before, who meets a military man who has issues. I love a good romance, especially minus the sappy stuff, plus I love all things military, a perfect mix for me!The book includes a good does of humor and insight into the characters. Good writing style. Nothing negative to say. Can’t wait to read the rest of the series and I added her other works to my “to read” list. There is some swearing and sexual references so I recommend for ages 16 and up. I give the book 5 stars. Only .99 on amazon for Kindle version! We all have dreams, aspirations, a call to greatness, a yearning to make a difference. Ask any five year old. They know what they want. You’ll here answers that vary. Some want to be ballerinas, basketball players, doctors, astronauts, rappers, dancers and the list goes on. They all have a great dream. We had those dreams. Mine included most of those already mentioned, plus be a painter, writer and all around creative genius. Then we grow up. What happens to our dreams? Do we just let life carry us away on a path that we never wanted? Do our experiences, failures and lack of recognition deflate our dreams? In retrospect, I would have made a poor astronaut; I get sick on carnival rides…and my artistic talent falls a tad short of genius; however I do have gifts and talents. I think that though some of our dreams are just that, dreams, we can still accommodate, or alter slightly, those dreams that just seem to hang on. They crop up when we least expect it, that something tugging at our heart, that quiet whisper. What is your dream?